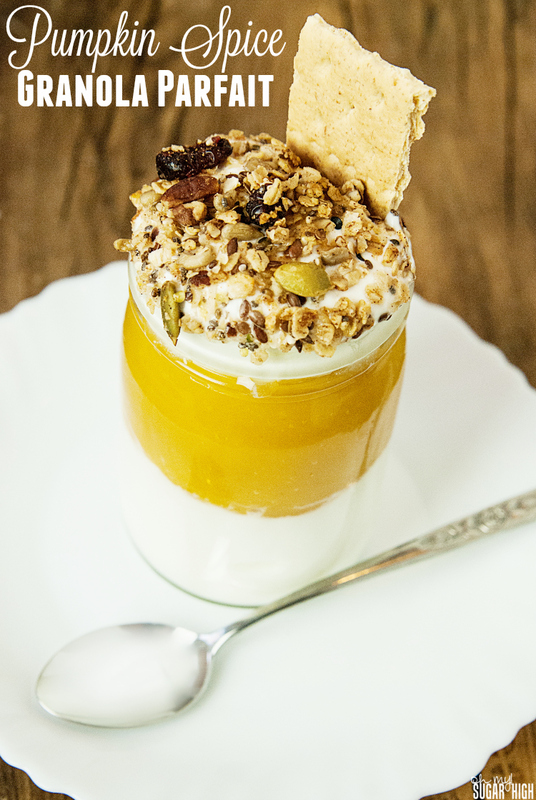 Whether you are just a lover of pumpkin like me or you are looking for something a bit non-traditional for Thanksgiving, these Pumpkin Spice Granola Parfaits from Joanne Andrea are a great option! Super quick and easy to prepare, these pumpkin parfaits are healthier than many other pumpkin desserts and can even be enjoyed for breakfast. Now that we are towards the end of November, pumpkin everything is going to be going away. But now you can enjoy that delicious pumpkin flavor any time you like with minimal effort. In small bowl, whisk the honey and the yogurt until well combined. In separate bowl, whisk the pumpkin puree and the spices. Mix well. 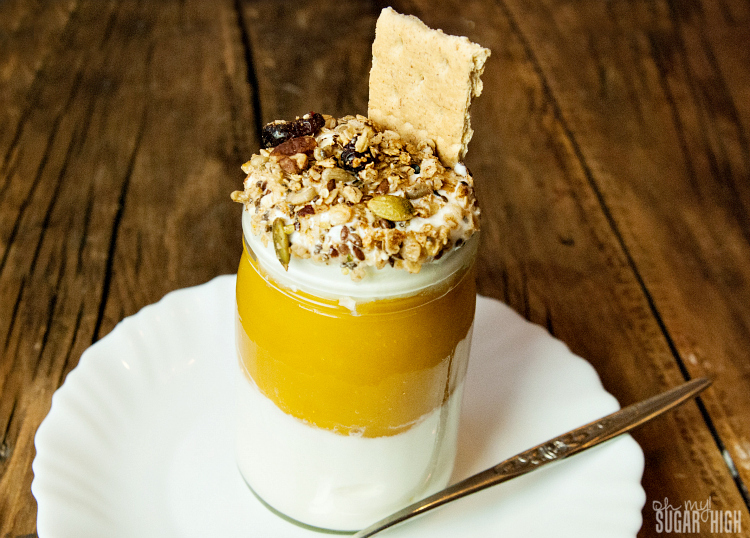 Finish the dessert with a sprinkling of the granola and garnish with a small graham cracker. Be sure to use plain pumpkin puree for this recipe. If you would prefer to use the pumpkin pie in a can, omit the pumpkin pie spice. You can also have fun with the yogurt flavor. If you do go with a already sweetened yogurt such as honey or vanilla, you can leave out the honey. If you need a little more sweetness in your pumpkin puree you can also add a small amount of honey to the pumpkin mixture. 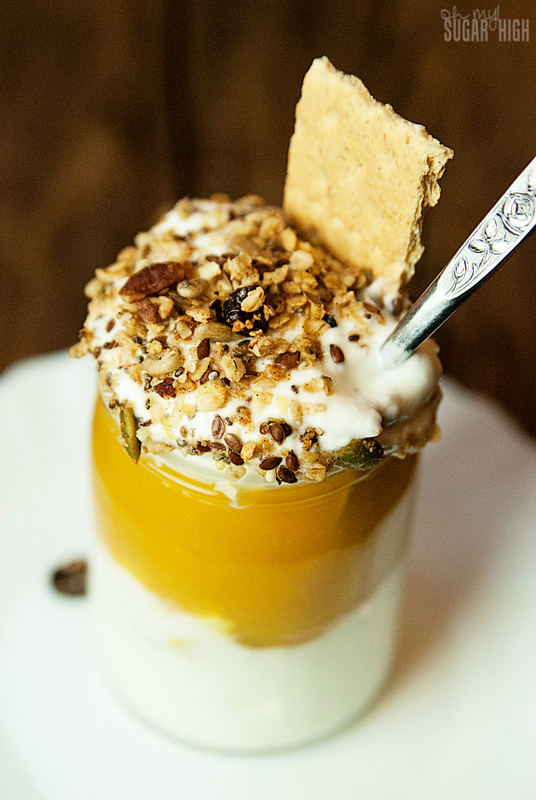 I hope you enjoy these simple but tasty pumpkin spice granola parfaits. 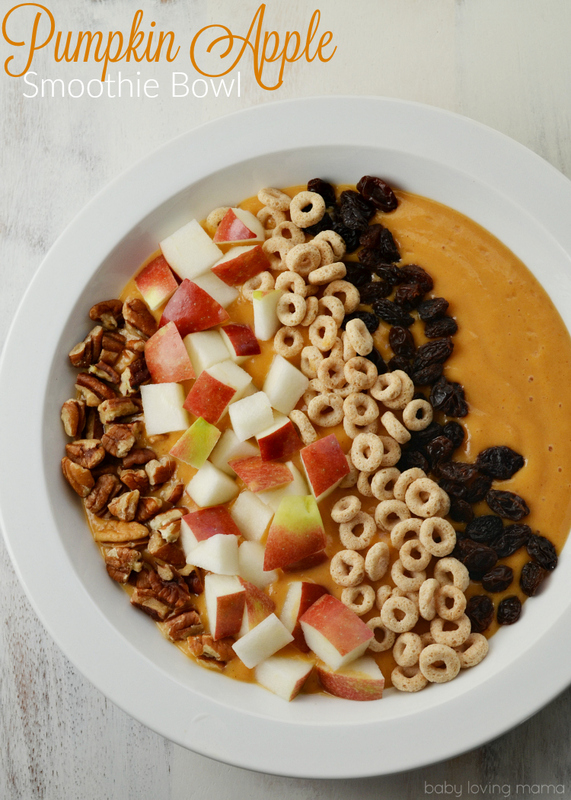 If you like pumpkin flavored breakfast options, try my Pumpkin Apple Smoothie Bowl on my lifestyle blog! Thanks to Joanne Andrea for sharing this wonderful recipe! You shouldn’t have shown me this photo. I won’t be able to sleep now.